Marcia Brady. 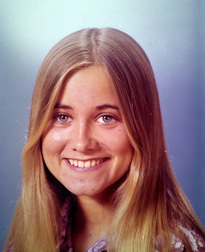 Maureen McCormick as Marcia Brady.. Wallpaper and background images in the Семейка Брейди club tagged: the brady bunch maureen mccormick marcia brady. This Семейка Брейди photo contains портрет, выстрел в голову, близком расстоянии, макро, and крупным планом.